Thursday August 16, 2018 - Residents of Kiambu County have asked the Ethics and Anti Corruption Commission (EACC) and the Directorate of Criminal Investigations (DCI) to investigate Kiambu Governor, Ferdinand Waititu. Since his election as Governor in Kiambu County on August 7, 2018, Waititu has accumulated a lot of wealth with analysts saying he has acquired properties worth more than Sh 3 billion in the last six months. 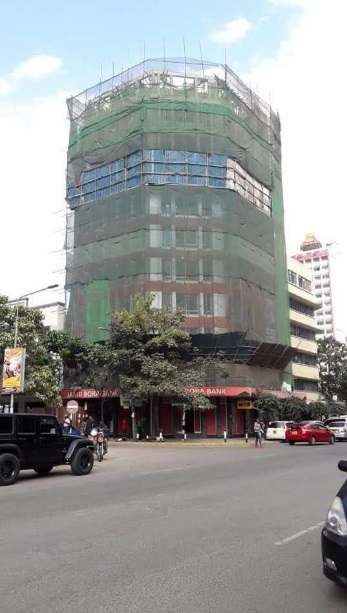 In January this year, Waititu bought Jamii Bora Bank Building in Nairobi’s Koinange Street at a cost of Sh 250 million and also bought a posh hotel (CJs) near the same building located at Koinange Street. “He wants to make part of it a hotel,” said a Jamii Bora employee. Other sources said Waititu is also interested in buying Thika Road Mall (TRM) in Nairobi that is valued at Sh 1.6 billion. Waititu’s monthly salary is Sh924, 000 and his investments are known. Kiambu residents are asking him to explain the source of the money if he is not stealing resources meant for Kiambu people. Currently, Kiambu hospitals led by Kiambu Level 5 and Thika Level 4 are in a mess thanks to Waititu and his family who are running the show of corruption and stealing.